How Far is The White House? The White House is an iconic structure which takes its inspiration from the British Colonial era of architecture. With its French style windows and beautifully sculptured terrace gardens, The White House is a Grandeur of its own. The innovative construction has created designer extravagance for their elite customers, looking out for real estate in Coimbatore. 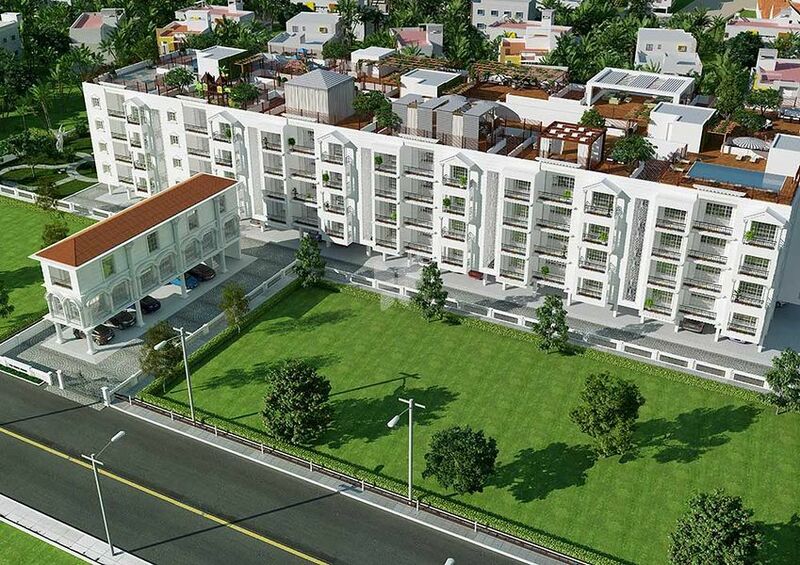 Each of these apartments in Coimbatore have been conceptualized to reflect the grandeur of urban era. With our experience and expertise, we endeavor to create the change in the concept of flats in Coimbatore, to the most unique best quality luxurious flats in Coimbatore. The building is conceptualized and designed by Ms. Sussanne Khan, which is a major highlight of the project. Her meticulous planning has made this development a magnificent & prominent landmark. 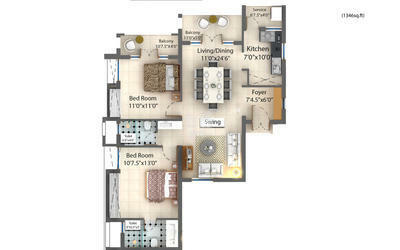 This is a grand lifestyle project which is created & crafted as Owners Pride & Collector's Asset. It will be an address by itself. The White House is centrally located half a kilometer off from the premium Race Course Road. Very well located and in the heart of Race course location where Banks, Restaurants, Schools, Colleges, Market Place, 5 Star Hotels, Theatres - all are in 2 to 5 mins vicinity. Hotel Taj Surya is just 2 mins away. The Terrace is the main highlight of this creation. Ms. Sussanne Khan has crafted the terrace with various features like the big pool with changing rooms, Gazebo, Cabana seating, BBQ area, children's play area, yoga space & seating all over with green landscaping. Never before has Coimbatore seen such a terrace being planned.